It’s been the same look since our 35th reunion. Time for a change. Did you notice? 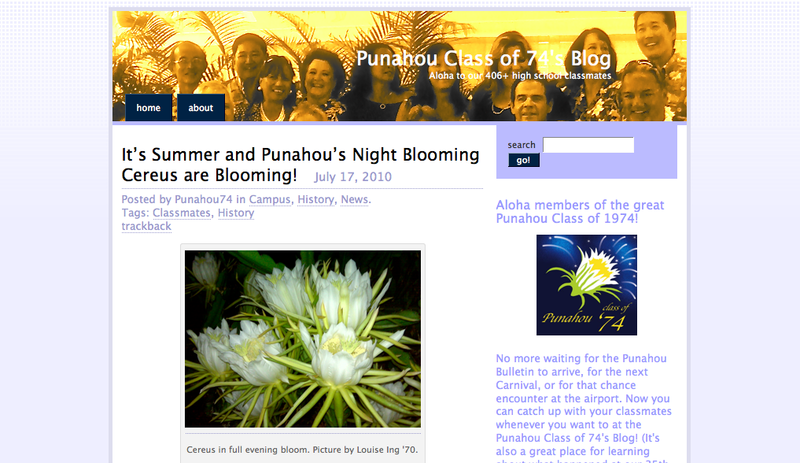 The old look of Punahou Class of 74’s Blog. When I started this blog in 2009 WordPress was a different animal. While offering a robust blogging platform, the template into which one’s words could be placed came from a limited selection. Just finding something that gave a “buff n blue” look was a challenge! Oh, how times have changed! And boy did I want to take advantage of one of those now 280 templates that were now out there. With reunion behind me, it was time to strike. Paying heed to both my thrifty Scottish and Chinese roots, I didn’t go for one of the “premium” a.k.a. “you pay for it” templates so, sorry, no razzle dazzle here. But what you will see is a new look that, as advertised, “provides a tranquil space for [my] readers to relax and enojoy [my] words and photos.” Or, as I care to think about, a look that provides you with information more directly, more intuitively and, with any luck, more pleasantly. Some of the changes include streamlined information on the right-hand column, night blooming cereus on the left column, and brighter colors. I’ve also included a rotating selection of photos (currently chosen from the reunion collection) on the header. You never who you might see up there so take a look! Let me know what you think. And here’s to new beginnings! Lynne, change is a sign of progress. Even though I was very fond of the old photo atop the blog, selfishly because I was in the photo, along with Carrie Talwar, it would be good for other people to have a chance to represent our class on a rotating basis. I think Babs’ Cereus logo is stunning and think it is both professional and unique. How lucky we are to have her skills at our disposal. 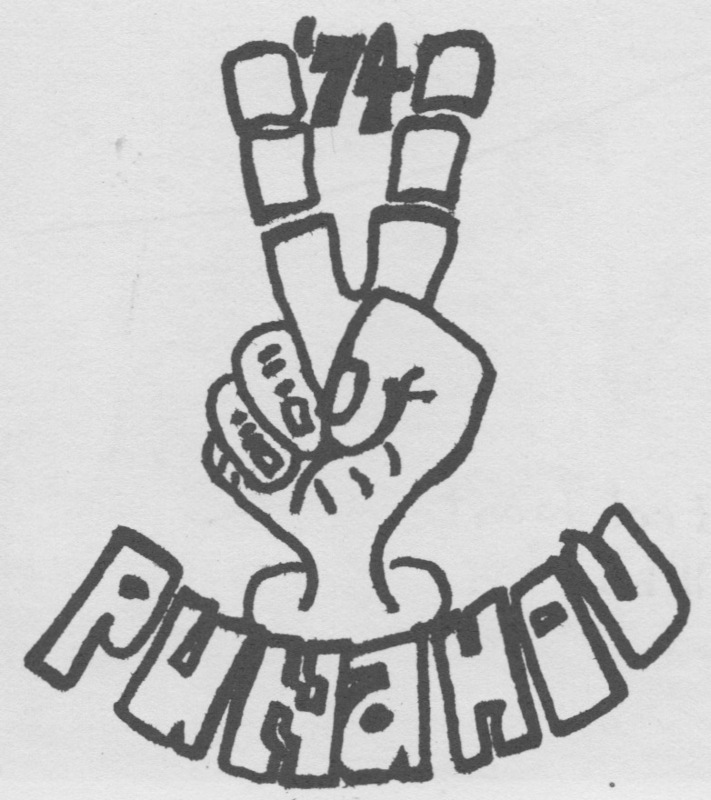 Lastly, thanks again for all you do for keeping us in the loop on classmates and events occurring in the Punahou 74 arena. You are greatly appreciated, especially being here on the mainland and away from Hawaii, for your diligence and excellent writing. Keep it up!